It’s so beautiful – when it’s beautiful. Love the image and the sound of this poem read aloud, Betty. Are you snowed in? We’re still hoping for rain, expecting some later this week. Please…. No snow here at the moment, Sharon – just rain which I’d love to send down to you. We’re saturated up here. Hope you do get some rain soon! Thanks. Love the stillness of the poem! Could you send a little of that rain to SoCal too! 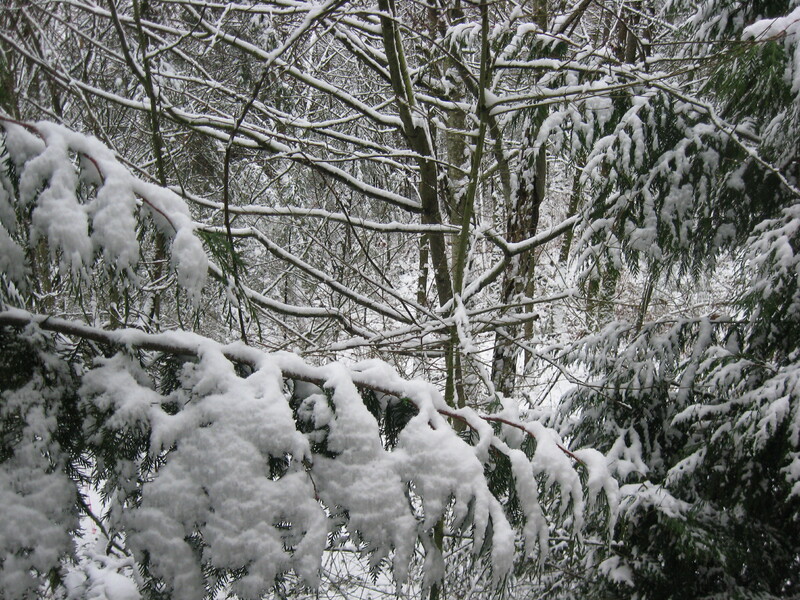 I have always loved that special silence only to be found in a snow-laden woodland. You bring it to life here, Betty. Beguilingly romantic take on Winter. Almost makes me miss the snow. Almost. Thank you, Lauren! Our first snow was actually a couple of weeks ago. Am hoping for more. 🙂 Hope it snows there too, just for you. There’s a quiet peace in these words. Lovely writing! Thanks for sharing. Thank you very much, Wyco!